Week three was a struggle but I did have some success. I had a little bit of a panic attack when I stepped on the scale again and to my dismay it was still stagnate. I know I wasn’t suppose to step on the scale but I like to see results and numbers don’t lie. Although I know better, my heart was still hoping for those fast results that I had two years ago. I was thinking to myself, good thing I wasn’t on the Biggest Loser or I would definitely be going home. Sanity returned because I knew this was going to be a long haul and that losing weight easier isn’t my goal. It is to become a healthier me. Yes I do repeat this, but I really need that statement to sink in when I desire to see the scale results. This is not to say I shouldn’t be losing weight, far from it. So I am investigating why the results are null on the scale. I compared what I did the last time with what I am doing now and it seems the food intake is what is drastically different. Two years ago I did eat more and I worked out more. I reviewed my food logs and I am not eating enough. It seems so strange to say but that maybe the cause. One of my goals for the week was to find foods that were both high in calories and low in fat. Something I did discover was beans. They are over 100 calories and low in fat. So, I can added beans to a salad or just have them as a side dish. I think I also have to reduce or give up my white Jasmine rice and stick with brown rice. I don’t partially like brown rice but it has to be my alternative. I have also discovered that I am not eating enough dairy, so I will be added more dairy in Week 4. I will still continue to research better food options to aid in my weight loss. I need to drink more water as well. The problem with this is I am always running to the restroom at night which cuts into my beauty rest. I guess it is a necessary evil. A nice surprise is I can eat potatoes, they are not the enemy; it is all about the preparation; so I will be added those to my diet. Of course, I will be adding them in moderation. My workouts are going great. I think I need to add another strength day, so that will be an additional goal for next week. I have developed a nice rhythm; I do high intensity cardio for 30mins, moderate intensity cardio for the next 30, and then low intensity for the last five which is the cool down. I am improving every week. Friday I burned 787 calories in 65 minutes. I am now burning over 3700 calories a week. This was something I didn’t do in one setting last time, so that is a testament to how strong I am getting and how my endurance is improving. Unfortunately my feet are still hurting, but not as bad. When I was working out my toes start hurting but I push through it. I am also still avoiding the treadmill for now. I do increase the level on the Elliptical each week. The following are the results from Week 3. 1. Walk around the block everyday at lunch. If it rains, either climb the stairs or walk on the ride the bike at the gym. Failed. I didn’t walk because I was already burning enough calories at the gym. I need to develop a better balanced plan that includes walking and biking. 2. Workout at the Gym Monday, Wednesday, Friday, Sat, and Sun. Include strength training on Friday and Sunday. Succeed. 3. Stay away from the scale! Failed. 4. Stay between 1830 – 2180 calories a day. (Because of my planned fitness) Success. 5. Do not eat any junk food or drink any sodas, including diet soda. Success. 6. Add a fruit and veggie to every meal. Success. 7. Do not eat any red meat. Success. 8. Drink at least five glasses of water a day. Failed. 9. Do some research on high calorie, lower fat foods. Success. 1. Workout at the Gym Monday, Tuesday, Wednesday, Friday, and Sat. Include strength training on Wednesday, Friday and Sunday. 3. 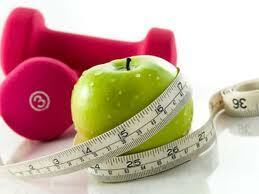 Weigh in on and take measurements on Sunday March 31 for the 1 months results. 5. Do not eat any junk food or drink any sodas, including diet soda. 6. Add a fruit and veggie to every meal. 7. Do not eat any red meat. 8. Drink at least five glasses of water a day. 9. Remove White Jasmine Rice from diet . 10. Add more Dairy to my daily meal. Kudos to me! 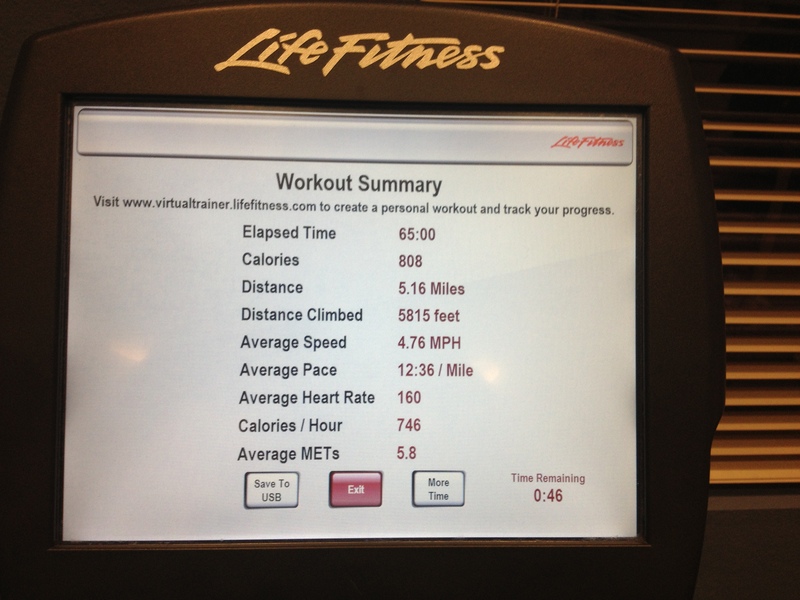 I did an outstanding job today on cardio, this is my best day yet, burning 808 calories in 65 mins. Posted on March 25, 2013, in Health and Fitness, Short Anecdotes and tagged Healthier Me, Weight loss. Bookmark the permalink. Leave a comment.